The past decade has seen the proliferation of largely extremist and sectarian 24-hour religious television channels throughout the Middle East and North Africa. Now exceeding 120 in number, they reach a collective viewership estimated in the tens of millions, and play an outsize role in stoking violent conflict region-wide. Most efforts to counter the broadcasts, including the production of alternative religious programming, are still in a fledgling stage. To help draw attention to this phenomenon and its implications for international efforts to combat extremism, AAM is launching a new initiative that will examine 24-hour religious television channels from the Middle East and issue reports on their activities. We begin the initiative with a proponent of coexistence and civil discourse, and will follow by examining a channel that has stoked sectarian warfare. 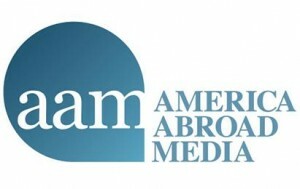 Managing the research effort is AAM strategic advisor Joseph Braude, author of a forthcoming book on Arabic media.